Will I Pay Extra For My Loan If I Go Through A Mortgage Broker? Will I Pay Extra For My Loan If I Go Through A Mortgage Broker? Will you pay more for a loan if you go through a mortgage broker? Mortgage brokers offer a free service to help you choose the loan that’s right for you and your investment property. They get paid by the banks or lenders, a commission off the loan (more on how much they make per deal). 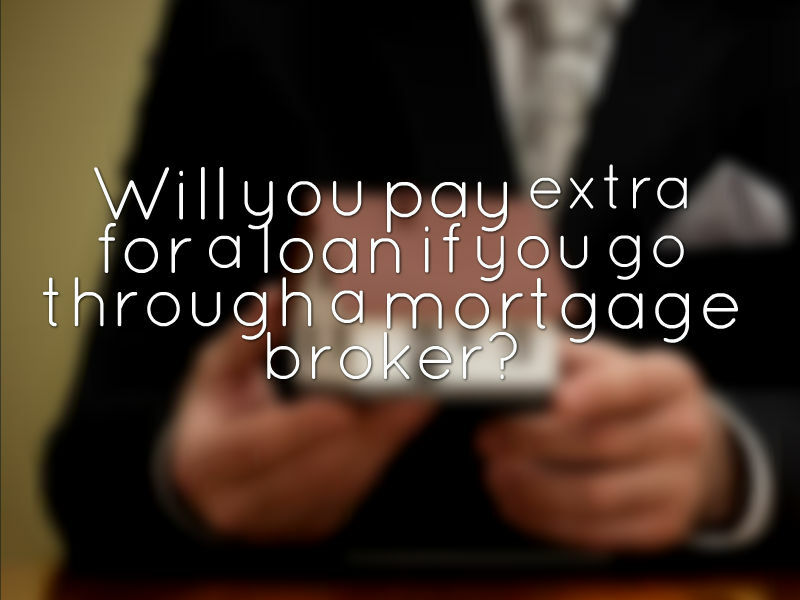 Will you pay extra for a loan if you go through a mortgage broker? You are not going to pay more for your loan and I’m going to explain in detail why that’s the case. And that’s how really mortgage broking began. I don’t know when exactly it began or who exactly started it or the details as to when it was formalised and then regulated, but from what I heard that’s how it started. If you want my recommended mortgage broker to get in contact with you please go here and fill out your details. There’s a few reasons why the fee that the mortgage broker is paid isn’t lumped on top of the loan that you are getting, but rather it comes from within the loan that you are getting. And the first reason is that paying a mortgage broker is just like paying marketing fees. Rather than a bank paying to market you or paying to have someone on staff to work with you, they are effectively paying the mortgage broker to market their loan options. Without that mortgage broker, the chances are that you would have actually gone to someone else in order to get your loan are quite high. So effectively, it’s like the bank or the lenders paying for the marketing of their product. It’s not officially that, but that is what it can be equated to. Another reason why you won’t be charged more by going through a mortgage broker is that rates are really well advertised (eg. Here and here). You can go on the internet and you can search for rates, and it’s a pretty transparent environment. You can see what different options are available and you can see what rates different lenders are charging easily online. You can then use that to compare what your mortgage broker is offering for a certain lender compared to what that lender is offering the market all by themselves. This transparency of the market keeps the market fairly honest. Another reason why you probably won’t pay more by going through a mortgage broker and will actually probably save money is because mortgage brokers have access to a wide variety of different loans and they can help you choose the one that is best for you. That might be best in terms of lowest interest rates or lowest fees, or maybe the best in terms of giving you the largest borrowing capacity possible. No two lenders are created equal and every lender will judge your situation differently. By having access to a large amount of different options you can pick the loan that is perfectly suited for you and thus not get sucked into a loan that will cost you more. Also mortgage brokers may be able to negotiate a better than advertised deal, especially when it comes to significantly large portfolios or large loan amounts. One thing to be wary of is that the commissions that mortgage brokers are paid do vary from lender to lender. One lender may offer a higher commission than another lender, so you just need to be careful that the mortgage broker is putting your best interest first and not putting the value of the commission they received first. 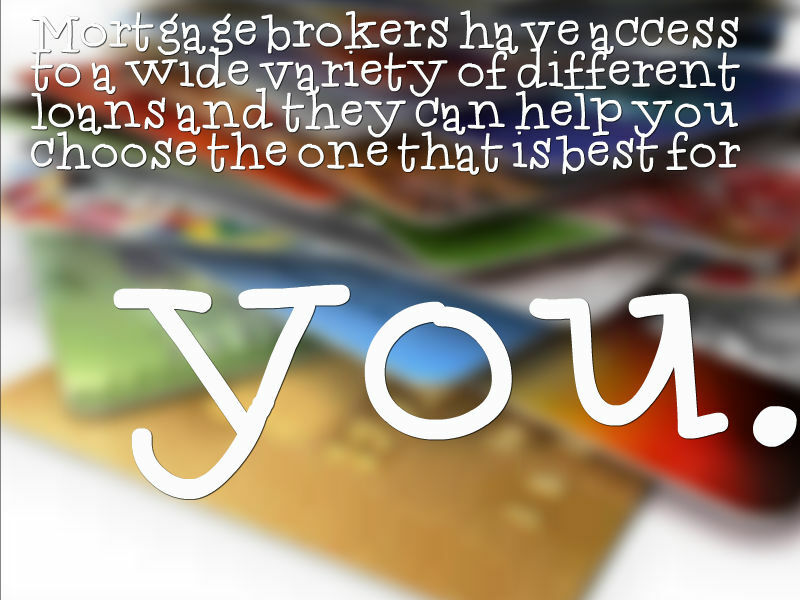 It is very important that you choose the right mortgage broker. If you want one that I work with and I personally recommend then fill out your details here to get a free consultation. A portion of the mortgage brokers commission (20%) does come back to On Property (#transparency). So at the end of the day you don’t pay more. The lenders actually make less. 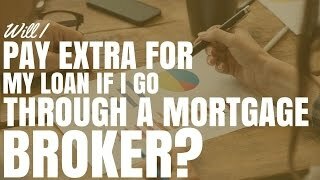 But the fact of the matter is without the mortgage broker the chances of you going to that lender are actually quite slim. Also the chances that they would probably have to pay more in advertising to get the loans that they would have missed out from mortgage brokers means they can just pay that to the mortgage brokers and they don’t have to worry about doing all that advertising. So don’t stress, don’t worry, but do use online tools to compare what your mortgage broker is offering and what you think is out there in the market.